What is the responsibility of evaluators in the era in which we live today? This is one of the issues I raised in my keynote presentation at the UK Evaluation Society earlier this year, and which I want to address here. This question has been with me for a long time, ever since I read a world-famous essay by Noam Chomsky a decade ago. Noam Chomsky is one of the most cited intellectuals in history. At the age of 89 he has more than 360,000 citations, according to Google Scholar – 100,000 of these in the last five years. His fame stems from pioneering breakthroughs decades ago in linguistics, as well as his ongoing systematic evidence-based criticisms of neo-liberalism, state capitalism, US foreign policy and news media. Two of his early political writings added very substantively to his fame. One is his brilliant 1988 book Manufacturing Consent, in which he and co-author Herman discuss the devastating impact of propaganda on so-called democratic societies. The other is an essay he wrote in 1967 titled The Responsibility of Intellectuals (see also here). In an attack on the intellectual culture in the US in the time of the Vietnam war, Chomsky argued that it was largely subservient to power. Intellectuals who carried the responsibility to speak the truth and expose lies were not only cowardly failing to do so; they were instruments in the hands of the elite who benefitted from the war. What would we write in an essay on The Responsibility of Evaluators today? We need a concerted effort to reflect on this important issue. We live in the era of the Anthropocene – an era that is being defined by the intersection of the ambition and idealism of the Sustainable Development Goals with the Fourth Industrial Revolution, human-induced climate change, activism for a return to a more humane economy, and extremely powerful multinational monopolies that control vast swathes of global supply chains and international investments amidst vicious geopolitical jostling for power and resources. In such an era, how can we keep ourselves so intensively busy with “project” or “programme” evaluation – and then mostly without engaging with or even understanding the larger frameworks, contexts and systems in which they play out? Depending on how we conceptualise our profession and practice, we will be tempted to generate a ream of ideas about the responsibilities of evaluators today. The list will be determined by our values and worldviews about evaluation and that which takes place around us. This will be excellent. But perhaps we also need a concerted effort to provide a short list that can become a Manifesto for Evaluation in the era in which we now live. Any discussion and finalisation of what each of us would consider the responsibilities of evaluators in this era will in all likelihood entail deep analysis of our own beliefs about evaluation as profession and as practice, and about what constitutes and defines “this era”. 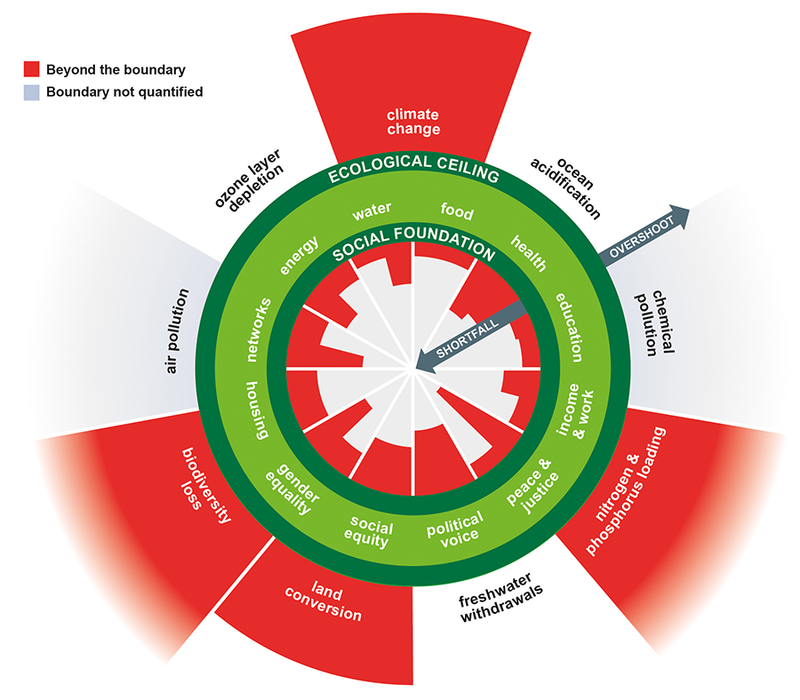 Very high on the list of the responsibilities of evaluation professionals today should be support for the fostering and acceleration of positive development trajectories – of societies, countries, regions, ecosystems – but most importantly, within planetary boundaries. This requires not only positive outcomes that sustain in the long term, but deep engagement with frameworks, models and practices that enable resilience and transformational change in society. Such a focus will ensure that we attend to deep causes of problems, to underlying systems and the interconnectedness of the world, and appropriate solutions that sustain. We will stop focusing on band-aids that often exacerbate under-development and exploitation, and even more often waste resources and energies. This means that evaluation professionals will have the responsibility to look far beyond our narrow technocratic endeavours. 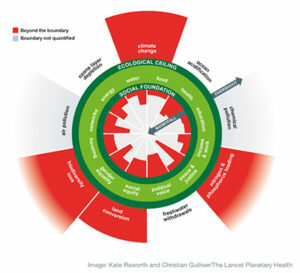 We will have to engage with those who are busy challenging dominant dogma and development paradigms, such as Kate Raworth’s Doughnut Economics or, on another level, China’s highly impressive escape from the poverty trap. We have to grapple with some of the ‘big picture’ issues affecting our societies. We have to be open-minded, informed and critical – including of dominant narratives around evaluation and development; of development indicators and global indexes that compare countries; of the extent to which evaluation is helping to resolve key challenges faced by the world; and fully cognizant of the implications of systems and complexity concepts and insights. Most importantly, we have to understand how we define and judge “success”, and why. « Deborah Rugg’s Top Tips for YEEs: The 12 Secret P’s of Evaluation Success!